On Wednesday January 26th the GSA held its second annual academic night. It was a great success with over 60 students and 20 professionals attending! The event was held in Hart House Music Room with free food and wine. Two engaging Greek films were shown, ‘Small Pleasures’ and ‘What is that?’ both directed by Constantin Pilavios (links below). We were very pleased to have Professor Triandofilopoulos from UTSC with us to speak about the effect of immigration on Greek identity. The lecture sparked debate among the audience for a very entertaining night! At the end of the event we held a raffle for five $50 restaurant gift certificates across Toronto. 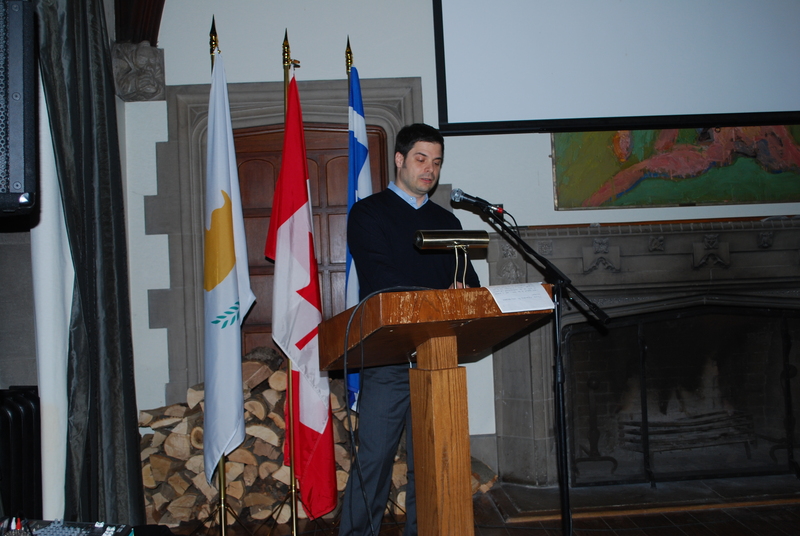 Thank you to everyone who helped put together the event and a very special thank you to Professor Triandofilopoulos.